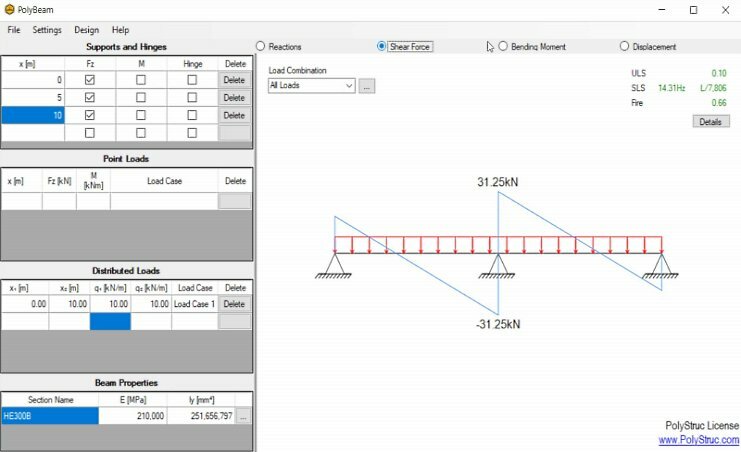 Determine sectional forces and design statically indeterminate beams using PolyBeam, a simple beam calculator. PolyBeam allows for linear elastic as well as plastic calculations of sectional forces in statically indeterminate beams using finite element theory. 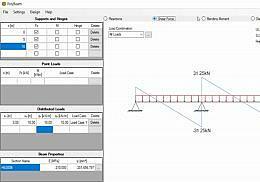 PolyBeam includes a design check for steel sections with respect to load bearing capacity, fire and natural frequency in accordance with Eurocode 3 (EN 1993). * PolyBeam download link provides trial version of the software. PolyBeam has been rated 4.1 out of 5 points. A total of 8 votes cast and 0 users reviewed the software.